At Verne & Ellsworth Hann, we understand that upgrading, repairing, or maintaining your HVAC system is an important investment. That is why we are always happy to provide free, in-home, no-obligation estimates on new heating and air conditioner equipment installation and answer any questions you may have. Our service team, many of who have been with us more than 15 years. Our fleet of well-equipped service vehicles, which carry everything we need to complete most jobs right away. Our growing collection of awards and honors. Verne & Ellsworth Hann is a 5-generation company servicing Northeast Ohio for over 63 years. Rooted in Cleveland Heights, Verne & Ellsworth Hann is the ONLY Hann family owned heating, cooling and plumbing company in Cleveland. No other family has such a rich history serving the HVAC and plumbing needs of homeowners in Cleveland Heights, Shaker Heights, University Heights, Mayfield Heights, Richmond Heights, Pepper Pike, Chagrin Falls, Beachwood, Lyndhurst, most of Northeast Ohio and now Lake and Geauga counties as well. 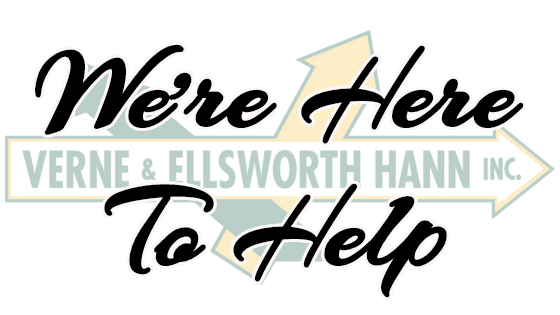 If you need heating, cooling or plumbing repairs, replacement or maintenance, don’t hesitate to call Verne & Ellsworth Hann. It is always our pleasure to do what we do best…help with heating, cooling and plumbing! That’s what we’re here for!